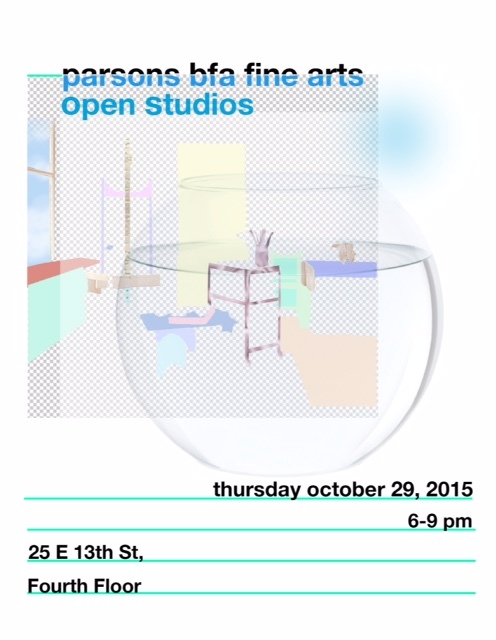 Parsons BFA Fine Arts is pleased to announce the Fall 2015 Undergraduate Open Studios. Students will open their creative spaces to the public and be available to answer questions and discuss their work. Open Studios provides a rare opportunity for visitors to view works in progress and meet the artists in an informal setting. Visitors will gain insight into the diverse practices within our studio art program that embraces interdisciplinary experimentation, intellectual rigor and innovation. Be sure to also visit the 5th floor, for the MFA Fine Arts Open Studios, happening concurrently.